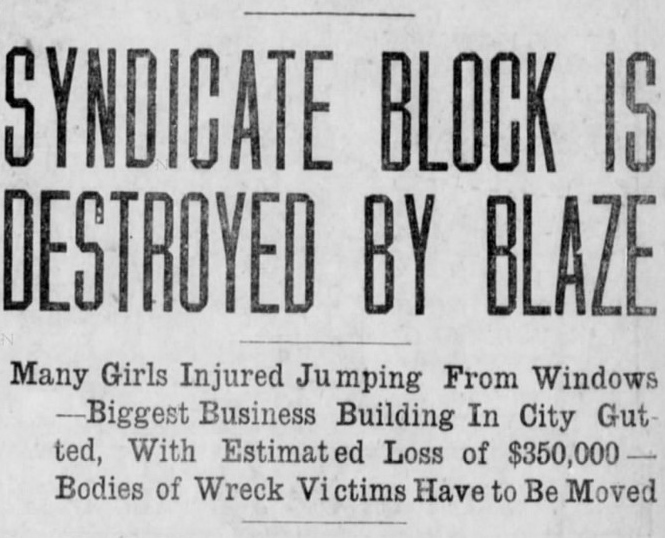 The year 1916 started off horribly for the residents of Brandon, Manitoba. They were in the midst of a cold snap that saw daytime highs lucky to reach into the -20s and snowfall so heavy that the streetcar system was closed down numerous times. The First World War raged, leaving hundreds of families waiting in fear of that telegram informing them of the death or injury of a loved one. On January 12th the Brandon Train Wreck killed 19 people in the heart of the city. 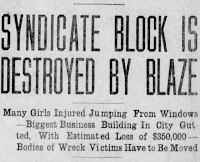 When it seemed like things couldn't get off to a worse start, on January 17th another tragedy struck when the Syndicate Block burned to the ground, killing four employees. 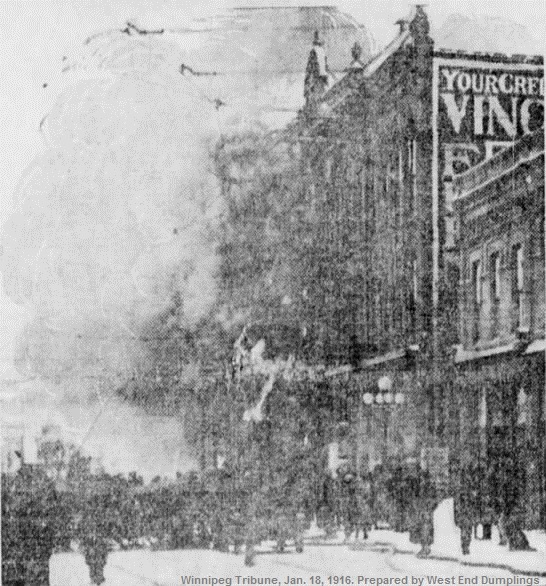 It is believed to be the deadliest fire in the city's history. 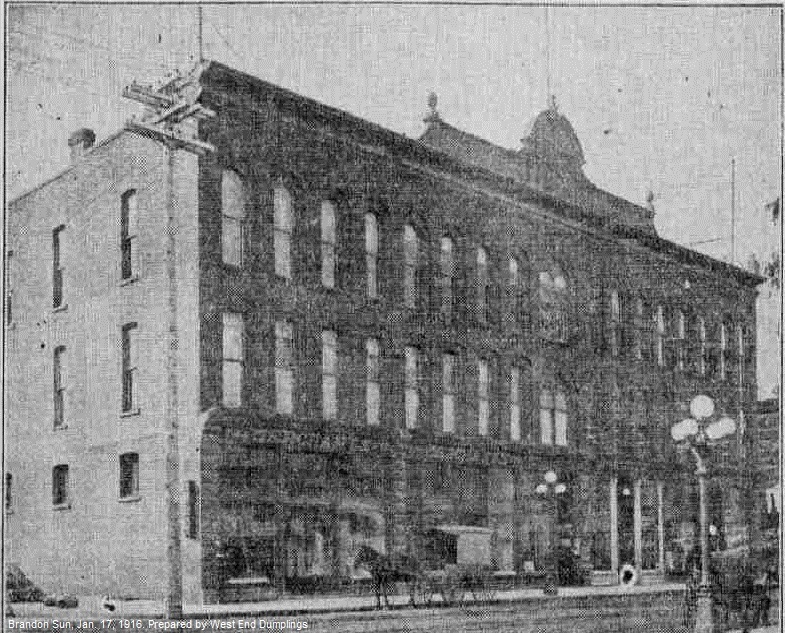 The Syndicate Block was built in 1892 at Rosser Avenue and Seventh Street, (702, 704 and 706 Rosser). 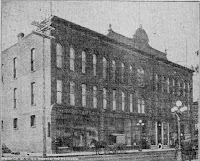 At 110 feet wide and 90 feet deep it was an imposing building at an important intersection. 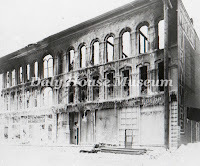 Over the decades, the main floor was home to various dry goods shops, then department stores. 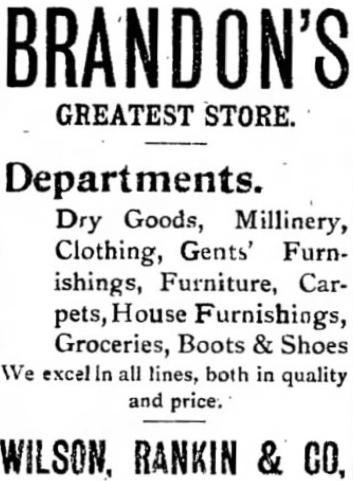 By 1916 Doig, Rankin and Robertson, which billed itself as Brandon's Greatest Store, took up much of the main floor and upper storeys. 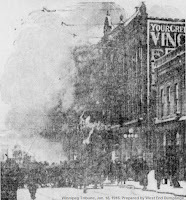 The fire began in the employee's cloak room and in minutes, witnesses said, the building's interior was engulfed in flames. Things happened so fast that some employees were forced to jump from upper storey windows, leaving six in hospital for days after. Four employees did not make it out at all. Clarence Walker, 27, manager of the furniture department. He left behind wife Irene and an infant child.Witnesses said he had escaped the building but was killed when he ran back in to save lives. 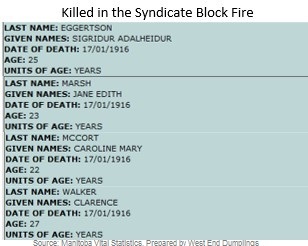 Miss Caroline McCort, 22, lived on Seventh Street with her parents. they had a son fighting in the war. I doubt they could have imagined that it was their daughter they would lose that year. Miss Jane Marsh, 23, was a dressmaker in the alterations department. 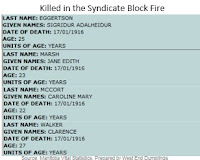 For a feature story about the Syndicate Block fire, its victims and outcomes, be sure to check out my Free Press column of January 31, 2016.